A tale of two Catherines. Director Martin Provost (Violette, Seraphine) unites two of France’s favourite actors in his tender comedy drama about female friendship and rediscovery. 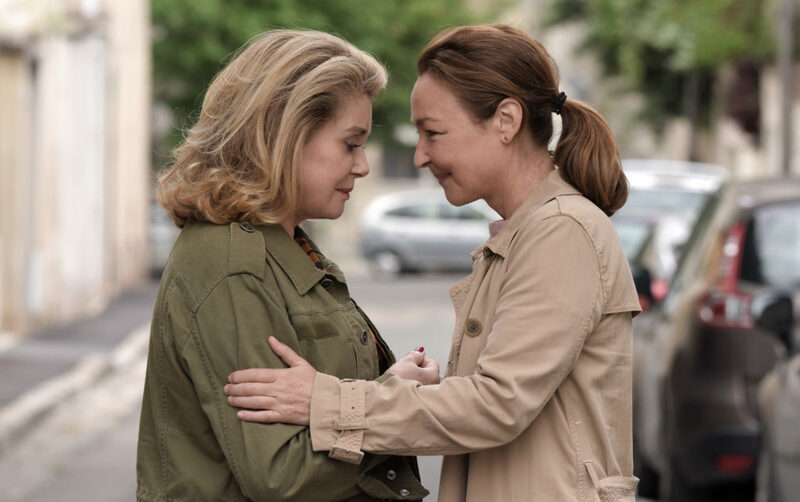 Catherine Deneuve and Catherine Frot play very different women whose shaky reconnection after a number of decades allows them to learn valuable life lessons from one another. Claire (Frot) is the conscientious Midwife of the title, a single mother whose reservations and self-restraint have left her living an isolated life. Until the day her deceased father’s ex-girlfriend makes contact. Beatrice (Deneuve) is a free-spirited, professional gambler who wishes to reconnect with Claire’s father. Shocked at the news that he has passed away, she implants herself into Claire’s life instead, bringing chaos, joy and memories of happier times. Few films detail the immediate aftermath of conflict and occupation from World War II. Danish director-writer Martin Zandvliet’s Land of Mine exposes the untold story of Denmark’s darkest hour. 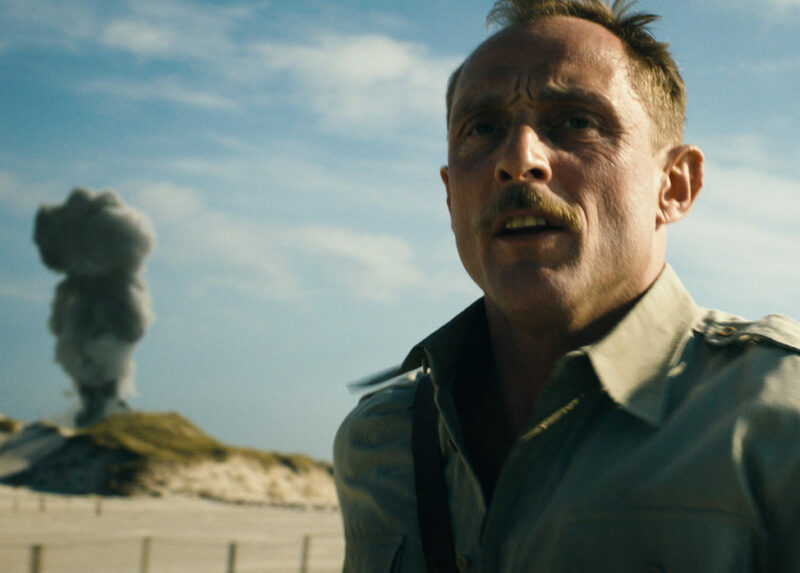 The film is set in the days following the surrender of Nazi Germany in May 1945, when German POWs held in Denmark were forced by the Allied forces to clear the millions of landmines laid by Hitler’s army. Most of these soldiers were teenagers, with minimal or no training in defusing explosives; more than half of them were killed or severely wounded in the process. Zandvliet sheds light on this historical tragedy as the entry point to a story that involves love, hate, revenge, and reconciliation. Is it ever possible to show sympathy for those who represented the Nazi terror? “I wanted to explore what happens to a person who loves his country as a patriot and feels a right to hate his enemy, but is put in charge of a task that conflicts with the values he thought he possessed and that his own nation represented,” Zandvliet says. ”Our sergeant protagonist is filled with the same hate that many Danes understandably had for the people who had occupied their country for five years. But he comes to doubt what he is fighting for. “It was the Germans who laid the mines — who else should remove them? I would probably have forced them to clean up after themselves too, but I hope that I would have given them food, trained them properly so as to reduce the horrific casualties and countless fatalities and, in general, treated them with the dignity that all human beings deserve. Duval (François Cluzet – The Intouchables, Little White Lies) is a recovering alcoholic struggling to find a job. One day, the mysterious Clement (Denis Podalydès) offers him a high-paying job transcribing tape recordings. After taking up the unusual offer, Duval quickly finds himself in morally and legally dubious territory. He reluctantly becomes embroiled in a shadowy world of paranoia, political scandal, and ultimately violence. Embracing the spirit of 1970s conspiracy thrillers like The Conversation, Scribe is a taut, moody thriller that feels endearingly old school. From the mysterious setup to the life-or-death climax, this is an affectionate homage that also updates the classics to reflect the seedy underbelly of modern politics. Academy Award Winner, Best Foreign Language Film, 2017. 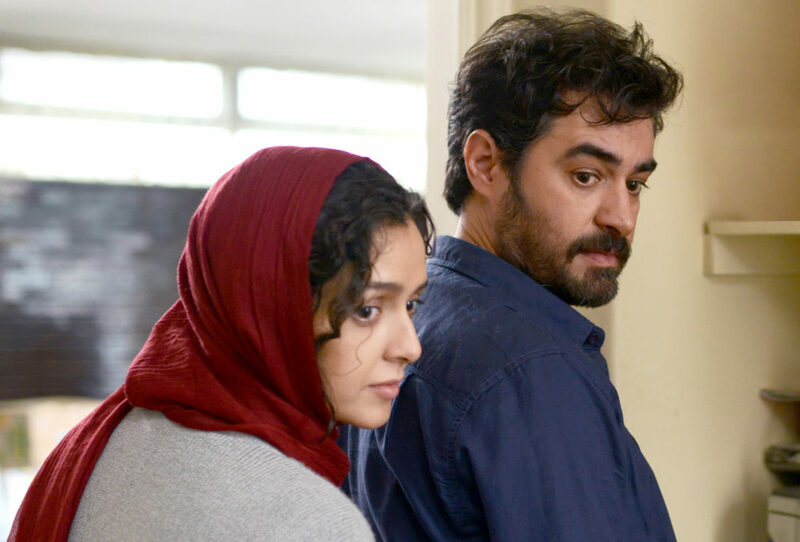 Award-winning director Asghar Farhadi (A Separation) returns with the 2017 Best Foreign Language Film Oscar winner The Salesman, a characteristically taut drama exploring how unexpected cracks can form in the foundations of a seemingly happy marriage. Set in modern-day Tehran, the future looks promising for amateur actors Emad (Shahab Hosseini) and Rana (Taraneh Alidoosti) as they prepare for opening night on their production of Arthur Miller’s ‘Death of a Salesman’. However, when dangerous work on a neighbouring building forces the couple to leave their home and move into a new apartment, a case of mistaken identity sees a shocking and violent incident throw their lives into turmoil. What follows is a series of wrong turns that threaten to destroy their relationship irreparably. Winner of the Best Screenplay and Best Actor awards at the 2016 Cannes Film Festival, Farhadi’s study on the potent power of pride, guilt and shame treads the line between arresting drama and revenge thriller with masterful ease. Read here about Mr. Farhadi’s decision to boycott the Academy Awards as a protest against Trump’s travel ban. The first-ever animated (stop motion) film shown by Cork Cine Club! Academy Award nominee, Best Animated Feature 2017. “Here is a little miracle of gentleness, tenderness and intense, traditional Frenchness. It was an Oscar nominee for best animated feature earlier this year, losing out, probably unjustly, to Zootopia. 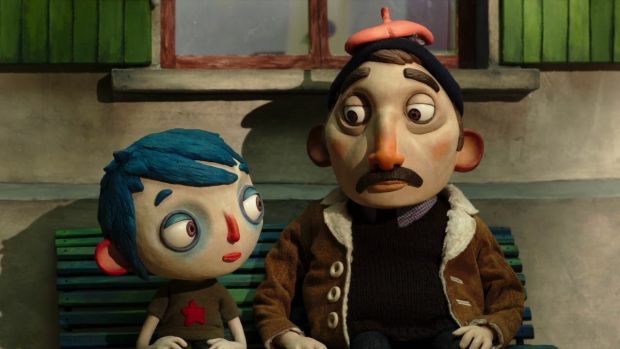 The screenwriter Céline Sciamma [Girlhood] has adapted the 2002 novel Autobiography of a Courgette by Gilles Paris for this beguiling stop-motion animation. Director Claude Barras makes his feature debut. The characters’ faces are big, almost like Charles Schulz’ Peanuts figures, and very expressive and subtle. It is the story of a little boy fond of kites who is interestingly named Icare but goes by his nickname: Courgette. A terrible accident means he is taken to a home in the country for orphaned kids, where everyone has a grim, secret story and the children’s growing awareness that no one really wants them manifests itself in all sorts of tough behaviour. But after a rough start, Courgette makes friends with Simon and forms a tendresse for Camille. Meanwhile, the lonely, unhappy cop who dealt with Courgette’s case, Raymond, has taken a kindly interest in his continued welfare. A hard-boiled family drama with a soft heart. Dr. Till Weingärtner, Lecturer in Contemporary East Asian Studies (Japan) at University College Cork, will introduce the film. 96% rating on Rotten Tomatoes. Mohamed Diab brings claustrophobic intimacy to a historic moment in this stunning thriller, set inside a police vehicle during Egypt’s 2013 street protests. 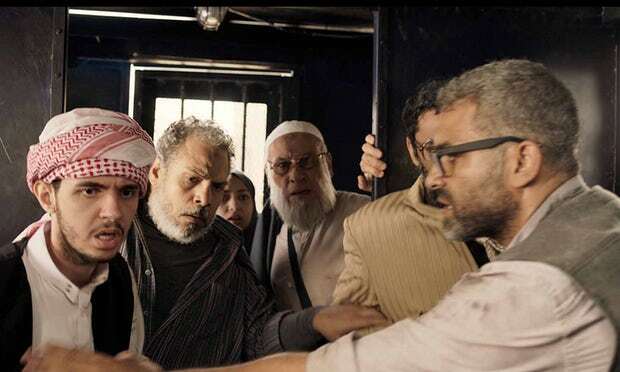 “The Egyptian revolution that dislodged Hosni Mubarak in 2011 and its chaotic aftermath continues to give us some fascinating films. Here is the latest, a rather amazing New Wave-style drama that combines claustrophobic intimacy with some logistically epic scene-setting. The year is 2013, the army has just unseated Mohamed Morsi’s Muslim Brotherhood, and pro-army and pro-MB factions clash on the streets. A reporter and photographer are arrested and thrown into the back of a police van, which is the sole camera setting; soon, other demonstrators from both sides are chucked in – along with, in one particularly chaotic scene, a lenient cop. They are crowded in there for hours in the boiling heat with no water and a plastic bottle to pee in. Through the grille-meshed window they get glimpses of the turmoil on the city streets. At first, it looks like a no-budget movie with about a dozen people shot in a single location, but the director, Mohamed Diab, stages some spectacular riot scenes outside, which are all the more staggering for intruding on this enclosed space so unexpectedly. Click here to read an interview with the director. Director Gavin FitzGerald will attend on the night, and introduce his short Irish documentary, The Truth About Irish Hip Hop, about the rise of hip hop in Ireland and the changing attitudes towards the once foreign art form. His 19 minute short film will be shown before the feature. 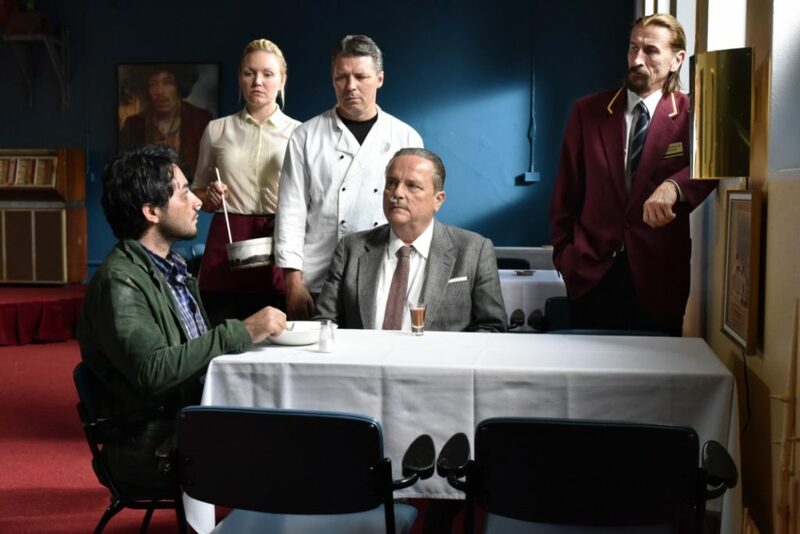 Finland’s master of deadpan comedy, Aki Kaurismäki (Lights in the Dusk, Le Havre), returns with the story of an unlikely friendship between a Syrian asylum seeker and an elderly Finnish restaurant owner. Winner of the Berlin Silver Bear for Best Director, it’s a beautiful, timely film from one of the world’s leading auteurs. With hilarious sight gags, poker-faced one liners and a toe-tapping rockabilly soundtrack, Kaurismäki’s latest balances his unparalleled wit with a pressing critique of the unforgiving bureaucracy that greets vulnerable asylum seekers in modern-day Europe. 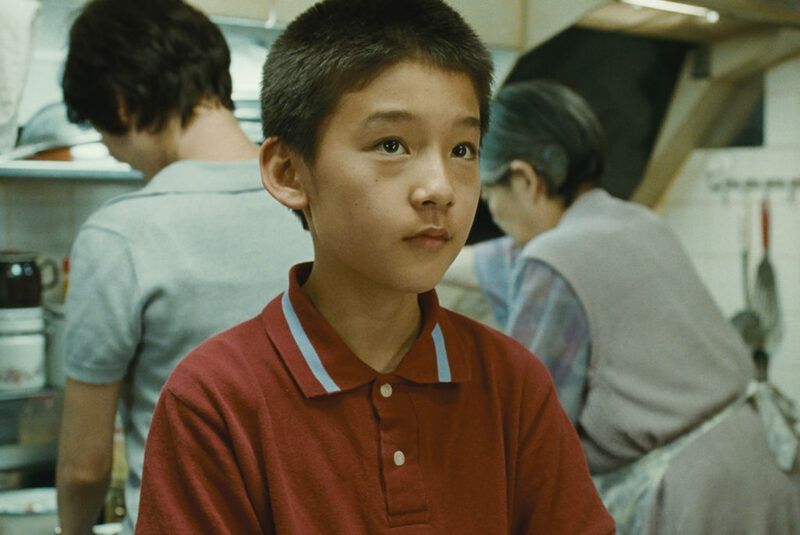 Humane and sincere, it’s proof of cinema’s power to tell stories that matter, with beauty and heart. Director Sinéad O’Loughlin will attend and introduce her short Irish film, Homecoming, about a young man’s struggles to find his place in life after returning to Ireland. A familiar face makes him wonder if things are about to change. Her 12-minute film will be shown before the feature. 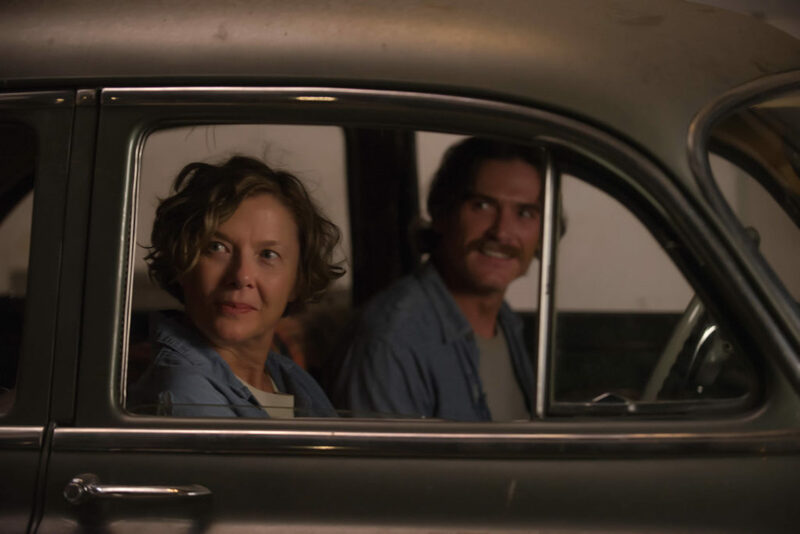 Annette Bening stars as a single mother who recruits two women to help raise her son in this warm drama set in Southern California in the late 1970s. “Director Mike Mills follows Beginners, his Oscar-winning study of the relationship between a son and his gay father, with another picture that takes as its jumping-off point the bond between parent and child. In the case of this late 70s-set cultural odyssey, the parent is gregarious, open-minded single mother Dorothea (the superb Annette Bening) and the child is Jamie (Lucas Jade Zumann), the teenage son she isn’t quite sure she can guide on his path to becoming a man. To this end, she recruits the help of two other women to help raise him. Her lodger, Abbie (Greta Gerwig), is a photographer crowd surfing on the anger and energy of the new wave scene. And Julie (Elle Fanning) is Jamie’s best friend, a sullen beauty who is casually oblivious to the fact that he is in love with her. But the 20th century is almost as important a character as the women. Mills weaves together a tapestry of social, cultural and political strands. In part of the extensive voiceover, delivered predominantly by Dorothea and Jamie, the boy talks of his last memory of his absent father – a birthday in 1974 – which deftly links mid-70s fashion trends (mirrored sunglasses) with news events (President Gerald Ford’s historic tumble down the steps of Air Force One) and with vomit on a carpet. Click here to read feature article about the film in the Los Angeles Times. Season 17 concludes with our ‘bonus’ 11th film, the Academy Award nominee for Best Foreign Language Film, A Man Called Ove. It’s one of the feel-good films of 2017, and well-timed for the start of the Christmas season. 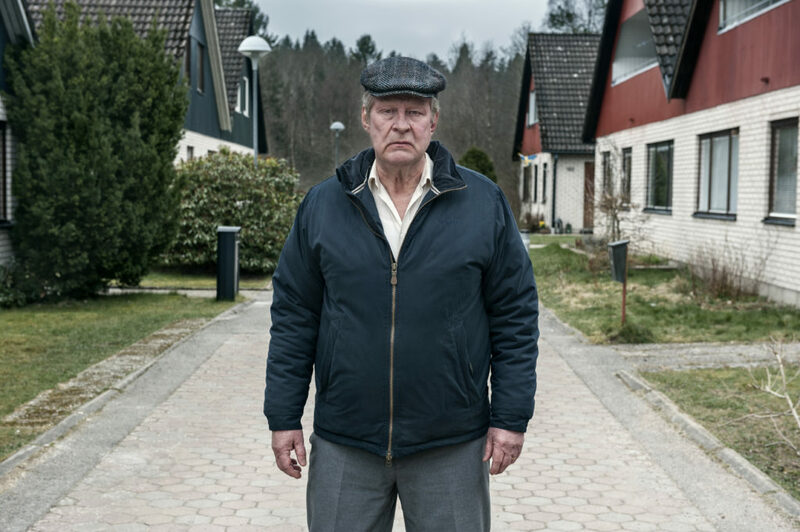 Ove (Rolf Lassgård) is a retiree struggling to come to terms with the death of his wife – a struggle that he angrily takes out on his neighbours by strictly enforcing the estate rules. Ove’s world is unexpectedly turned upside down when a young family move in next door. Despite his initial resistance, Ove slowly forms a bond with his new neighbours and discovers a whole new side of life. Based on the best-selling novel by Fredrik Backman [translated into more than 40 languages], this Swedish hit is a bittersweet but charming tale of one man rediscovering himself after a devastating tragedy. Darkly comic but sensitively told, this is a true crowd-pleaser held together by a remarkable lead performance. A short Irish film, Second to None [7 minutes], will be shown before the feature.